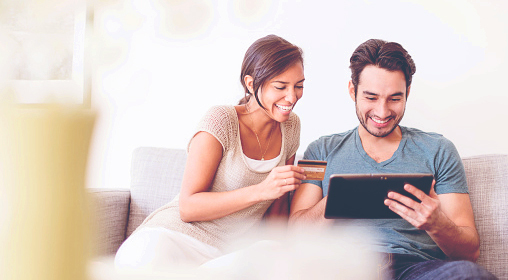 At LNB, we realize that everyone’s credit needs and preferences are unique, which is why we offer personal credit card options. Unsure about which credit solution is best for you? Talk with one of LNB’s local financial experts, who will help you determine the card that fits you best. Get rewarded when you use your LNB Rewards Visa® Credit Card. In addition to no interest for the first 15 billing cycles, you can either earn one point for every dollar spent, or get 1% cash back on every purchase; you choose what makes the most sense for you. LNB Rewards Visa® points can be put towards a vast selection of rewards, including merchandise, travel experiences, activities, event tickets, gift cards, and more! LNB Classic Visa® Credit Card offers simplicity and security you can count on. With no interest for the first 15 billing cycles and our lowest interest rate after that, the LNB Classic Visa® is ideal for those who are less motivated by rewards and those who intend to carry a monthly balance. Apply today! LNB makes it easy.